What if a retired NYPD officer is asked to investigate a mysterious death at the National Authors Conference where various attendees offer their theories and suspicions? Murder ... They Wrote answers this question as Agapé Jones, retired NYPD detective, tries to determine the truth surrounding the death of Robert Dyer, noted poet and critic. Confusing and confounding him are Robert's ex-girlfriend, award-winning romance novelist Phoebe Skye, current young girlfriend Summer Winters, ex-wife Sheila "Cookie" McGuire, recently discovered illegitimate daughter Sarah Jane Streshinksy (AKA Tinker Belle), action/adventure author Steve Bold, famous psychic Clara Casper, long-time friend Sylvia Sanchez, agent Dennis Purcell and the mysterious Countess Elektra Rozanska. While Agapé enjoys getting a chance to exercise his old skills, his wife of over forty years, Geraldine, isn't pleased. She teaches English at Maui Community College and talked Agapé into volunteering as head of security for the National Authors Conference where she volunteers in the bookstore. Peopled by a cast of quirky and deliciously amusing characters, Murder ... They Wrote will quickly engage the reader. It is filled with accusations, theories, twists, turns and surprises. The authors each have unique personalities and bring them to the creation of the fictional authors. 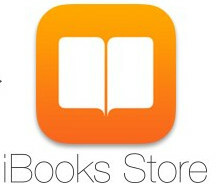 The book is written in first-person real-time over a two and a half day period. It is fast-paced, humorous and touching. Murder ... They Wrote is the first in a planned series featuring detective Agapé Jones. To learn about the real woman who was Countess Elektra Rozanska. After a shooting injury, Agape Jones retires from his career as a NYPD detective and moves to Hawaii. His wife takes a job teaching English at the local college. Jones works security for the college’s annual National Authors Conference. The conference attracts many writers. When poet, Robert Dyer is found dead, Jones’ investigative skills and instincts kick in. Dyer was an arrogant man and not well liked. There are more than enough suspects and motives. This is a well written mystery sure to keep the reader up all night trying to figure out 'whodunit'. 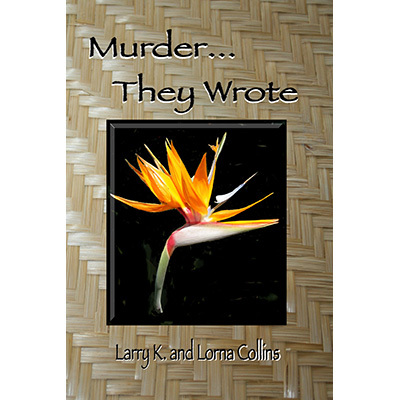 The author has included twists and turns that will keep the reader guessing.I hope this is the first of a series.I recommend grabbing a copy of "Murder… They Wrote". You won’t be disappointed. A fun read for anyone who has ever attended or wondered what goes on at a writers conference. Join Agapé Jones as he tries to make order out of the conference chaos when one of the attendees is found dead on the stairs. His investigation into the poet's death brings out the man's relationships with several women attending the conference and they are eyed with suspicion with their involvement with a possible murder. A retired policeman who missed active police work, Agapé is pleased to take on some of the investigative work on this case. The motive of the poet's death is elusive as there are several. Yet there is also a question of whether he was actually murdered. I'm pleased to recommend Murder... They Wrote by the talented writing team of Larry K. and Lorna Collins as a read well worth the time. It is a pleasant read set in Hawaii. The writers have caught the flavor of a conference and given it a sense of reality. You'll like Agapé Jones as a non-stereotypical investigator with a down to earth sense of responsibility. The characters are fun to meet and each offers a unique perspective on the victim and sometimes life. I'm pleased to recommend this tale as a read any mystery fan will enjoy. I sure did. After a shooting injury, Agape Jones retires from his career as a NYPD detective and moves to Hawaii. His wife takes a job teaching English at the local college. Jones works security for the college's annual National Authors Conference. The conference attracts many writers. When poet, Robert Dyer is found dead, Jones' investigative skills and instincts kick in. Dyer was an arrogant man and not well liked. There are more than enough suspects and motives. This is a well written mystery sure to keep the reader up all night trying to figure out 'whodunit'. The author has included twists and turns that will keep the reader guessing.I hope this is the first of a series. I recommend grabbing a copy of "Murder... They Wrote." You won't be disappointed. 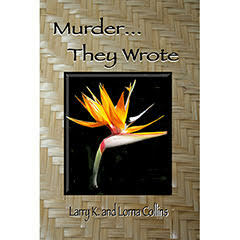 Lorna and Larry K. Collins have given cozy mystery fans a definite keeper with this whodunit. Agapé Jones is a fantastic detective; he makes witty observations and solid conclusions without being crude, violent or sexual. He is just so genuinely likable, his insights were perceptive and observant without being a know-it-all. I'm not sure how I felt about his "conversations" with his mother although I appreciated the sentiment behind it. I would have liked to get a little more insight into his wife's thoughts as we only say her through his eyes and she came off a little like his diet enforcer. When I noted the book was written by a husband and wife team I was hoping for the investigators would be a team as well. The quirky cast of secondary characters was so entertaining. I loved all of Kimo's relatives; they added such a wonderful background for the mystery itself as did the beautiful location. The pace and plot of this book were perfect and kept me turning the pages right up until the surprise ending. I cannot wait to read the upcoming second book in the series. Retired NYPD detective Agapé Jones is asked to help investigate a death at the National Authors Conference in Hawaii. Acidic critic and former poet Robert Dyer is found dead at the bottom of a flight of stairs and the suspect list is almost as long as the conference presenter list. Agapé finds himself using his old skills to interrogate the victim's ex-girlfriend and much younger current lady, who each accuse the other. He also questions his agent and Robert's newly found daughter as well as his ex-wife, a renowned psychic, a mysterious foreign aristocrat, a spy novelist and a few others.